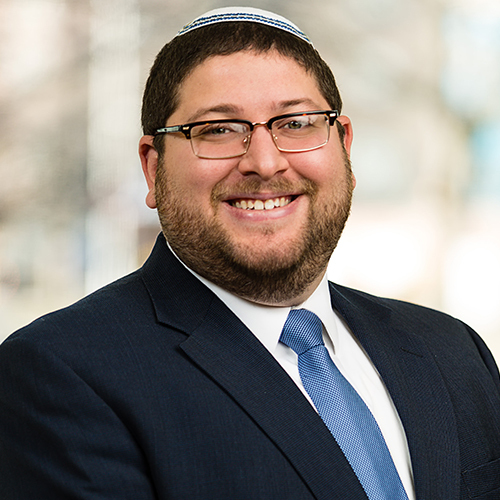 Koby grew up in Teaneck, New Jersey, and graduated from the University of Maryland with a degree in Government and Politics, Jewish Studies, and Israel Studies. Koby studied for several years in Israel at Hebrew University, the Pardes Institute of Jewish Studies, and Yeshivat HaKotel. While in Israel, Koby served as a first responder with Magen David Adom and interned with Knesset Member Yoel Hasson. While at YCT, Koby was the rabbinic intern at the Bronfman Center at New York University. He previously served as the Director of Drew University Hillel in Madison, New Jersey.